Award Winning Florida Beach Wedding Service! We’re so honored that our client’s have chosen us for the WeddingWire Couples’ Choice Award. This award is only given to the top 5% of Wedding Professionals in our area and is based on the great reviews our clients have written. Over the years we have had the pleasure of working with so many couples and truly feel blessed to add to our Perfect Florida Beach Wedding Family each an every year! Look out 2015 here we come!! Award Winning Florida Beach Wedding Service! was last modified: February 12th, 2015 by Bobbi Perry, "Your Florida Beach Wedding Specialist"
They brighten a room, a mood, and lift you up at just the site of them. When you think about your Florida Beach Wedding don’t forget that the Bridal Bouquet is part of your look and should compliment your style. Are you Tropical and Bright, Care-Free and Natural, Simple and Classic or Romantic and Soft? Tropical Bouquets are fun and bright in color. You can expect to see Oranges, Purples, Pinks, and Greens just to name a few. Soft and Romantic Bouquets will include a wide range of Pastels and can include a pop of color as seen in this bouquet with the Purple. Care Free and Natural lend to the look of fresh picked wild flowers hand tied and can come in a variety of colors with Yellow being a very popular choice. Simple and Classic almost always includes Roses. Hydrangeas are a great way to add a touch of Romance to your Classic Bouquet. Whatever your style, our Florists can design a bouquet that will complete your look and bring out the inner you! Remember, it’s your Florida Beach Wedding – Your Flowers, Your Style! 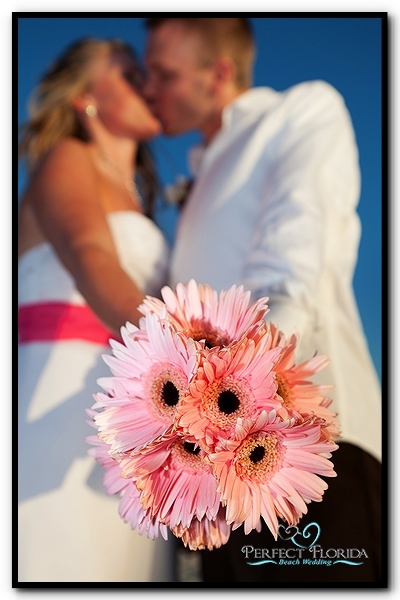 Flowers are the perfect compliment to your Florida Beach Wedding. For more information, visit our Beach Wedding Packages page. My Flowers, My Style – Florida Beach Weddings was last modified: February 12th, 2015 by Bobbi Perry, "Your Florida Beach Wedding Specialist"
One of the many decisions you’ll make when planning your Florida Wedding on the Beach is what type flowers you want in your bouquet. This seems simple enough, right? Especially with all the dreamy pictures of bridal bouquets on the Internet! I mean, you can find so many gorgeous pictures of bouquets filled with Hydrangea, Calla Lillies, Peonies, and Tulips to name a few. One might think it would be as simple as finding a picture and saying “I want this one”…kind of like shopping from a catalog. There is one little fact that these beautiful pictures fail to mention. A lot of these flowers are grown in cooler climates. Florida has beautiful, sunny, tropical weather most of the year and in some months the temperatures can reach above 90 degrees. This is in important fact to take into consideration when choosing your beach wedding flowers. The flowers you choose for your Florida Beach Wedding must be hearty enough to withstand even a small amount of time out in the sun. Hydrangea’s for example, will start to wilt soon after being exposed to the heat. Flowers like Roses and Daisies are a much heartier flower and can withstand the heat longer. Some of our packages come with a bouquet of hand tied Roses. I am sometimes asked if the Roses can be substituted for another flower. My answer is always the same, “Yes it can but, choose your flowers wisely” Whatever you choose, it must be able to withstand the heat. Gerber Daisies are usually a good substitute if they are in season. If you really don’t know what you want, don’t worry…we are here to help you with this decision too. If you would like some additional tips or ideas for your beach wedding flowers, our Florist is happy to talk to you and give you suggestions that fit both your style and budget. 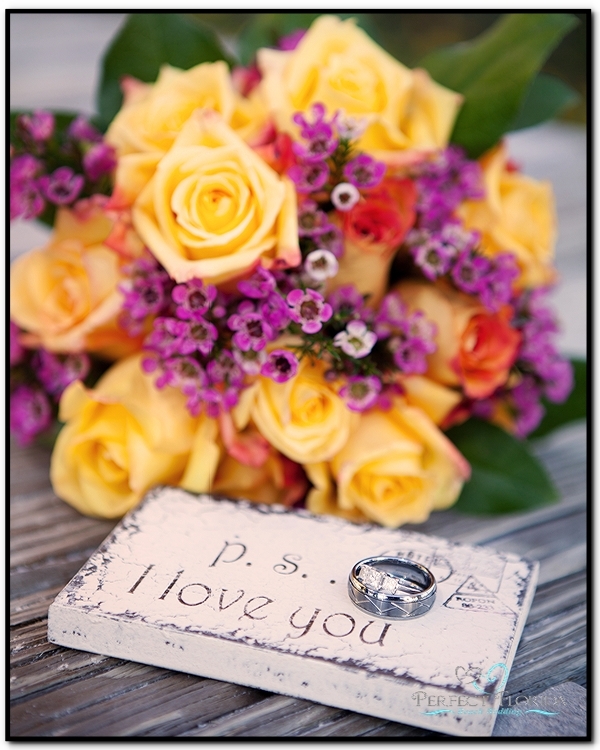 Choosing Your Beach Wedding Flowers was last modified: February 13th, 2015 by Bobbi Perry, "Your Florida Beach Wedding Specialist"